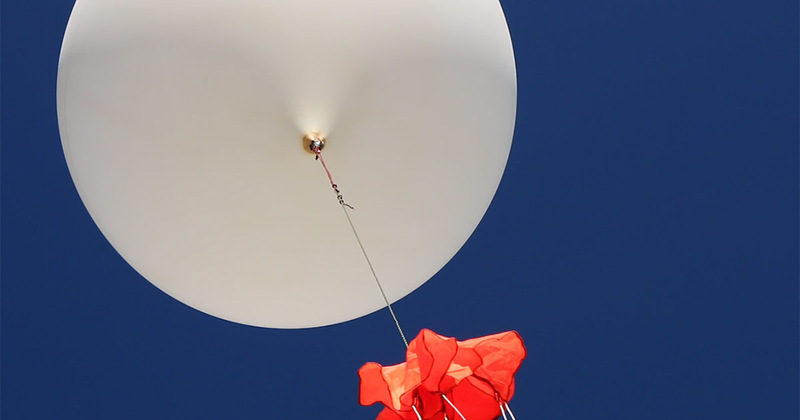 Sending a weather balloon to stratosphere is not as hard as it sounds. However, it is important to consider certain aspects before buying the materials, like temperature and weight. It is also important to be constantly aware of the weather conditions, since the slightest change in the wind can force you to change the launching site. We found this amazing website (High Altitude Science) that sells weather balloons, among other things. We chose the 600 g weather balloon, that according to HAS has a burst altitude between 29 to 32 km. They also state that even though they recommend 800 g as payload, this balloon could hold up to 2200 g and still burst at 26.5 km. At the time of the purchase we estimated a payload of 1000 g, and since it was our first launching, we considered that this one would do the job. We bought a Polar Tech XM6C Thermo Chill Expand-em Series Insulated Carton with Foam Shipper (yes, we also think the name is super long! Specially for a box...), as container box. We got it from Amazon. We needed a parachute specifically designed for near-space flights that could reduce the landing speed to approximately 5 m/s. But why this speed?, you may ask. Well, because in spite of being a little bit slow (we would have to travel a greater distance to recover our box), with this speed it would be improbable to hurt someone if the payload landed on a populated area. This far we knew the landing speed we wanted, and that our payload would weigh around 800 g. However, we still had to calculate its size. In order to do that, we compared the results in 2 different websites: Parachute Size Calculator and Model Rocket Parachute Descent Rate Calculator. Both of them indicated that for an 800 g weight at a descent rate of 5 m/s we needed a 36” diameter parachute. We decided to buy the parachute in Spherachutes. The website also has a Payload Weight Chart that allowed us to make sure that it was the right parachute for our project. Another good thing about this parachute is that it includes a 1.625" diameter vent hole that is very useful when tying it up to the box and the weather balloon. The output showed that the required helium was 93.47 cubic feet (2.6 cubic meters). Since we weren’t sure about the weight, we decided to buy 4 cubic meters from INFRA. When you buy the helium it is very important not to forget that the helium cannot be mixed with Nitrogen or the weather balloon will burst at a lower altitude. We decided to track our balloon in two ways. The first one was through an APRS tracker, which is a GPS connected to a radio transmitter and an antenna. We bought the MT-1000 Hab Combo from Byonics (if you plan to buy this, don't forget the programming cable!). Stratosphere goes from 10km to 50km and has a temperature between -51°C and -15°C. Therefore, the batteries we used had to have a very good performance in cold temperatures. We considered Energizer Ultimate Lithium Batteries were our best choice, because aside having this characteristic, they are lighter than alkaline batteries and can be found as AA (we needed 3 AA batteries for the APRS tracker). We also bought them on Amazon. To record video we used a SJCAM SJ4000. We didn't buy this one, we borrowed the camera with its case from Fernando. Our dear friend Fernando also lend us the cell phone, an LG NEXUS 4 E960. It only had one application: Sky-Quest App. Before establishing a date and a launching site, the logistics team ran a lot of simulations using CUSF Landing Predictor 2.5. We liked this simulator because it's friendly and simple to use (turns out it’s very accurate as well as we could confirm after the recovering). In the fields for ascent rate and burst altitude, we used the information gotten from the Balloon Performance Calculator we mentioned you before. Try to choose a windless day. Be prepared to change the launching site. We actually had to change the launching site 2 days before. Run simulations the night before the launching day and a couple of hours before the launching. In our case, the landing site showed by the simulator the night before, was several kilometers away from the site calculated in the morning (good thing we had an A-MA-ZING rangers team!). It's preferable if the landing site is not very populated, but you should be able to access it easily. We know we just gave you plenty of information, but don't get overwhelmed! Trust us, after you get the materials the rest is easy. Take baby steps, and more important, HAVE FUN!! Sooner than you think your weather balloon will be out there in big vast stratosphere!!! Also remember that if you have any doubts along the way or want to share something, you can contact us at contact@sky-quest.com. 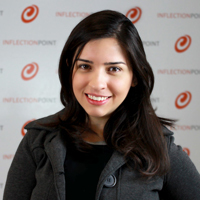 Born in Tamaulipas, Paloma is currently a robotics engineering student at ITESM, Campus Monterrey. She is a passionate dancer and karaoke singer. She is a cheerful and awesome girl who loves puppies and chocolate.